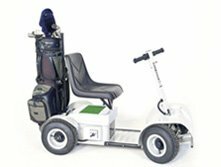 Our highly-trained service team can visit your home or business to support all your Golf Car, Utility Vehicle or Mobility Scooter service and repair requirements. We offer Perth’s largest range of Golf Cart spare parts, and provide you with the added peace of mind of guaranteed workmanship for any repair carried out by our Qualified Automotive Mechanics. 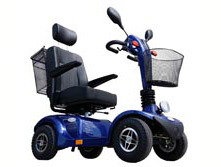 Whether you own a Club Car, E-Car, Yamaha, EZ-GO, Cushman, Columbia, Melex, Trek, Shoprider or any other electric or petrol golf cart, utility vehicle or Mobility Scooter, the staff in our state-of-the-art service centre can service, repair and supply spare parts in a timely, professional manner so that you are back on the course (or back to work) in the shortest possible time. Our team of highly trained Qualified Automotive Mechanics understand all aspects of golf and utility vehicles and their various operating systems. No matter what make or model you own, or if it's electric, petrol or diesel, you will always receive top class professional service to maintain the smooth operation of your golf car, utility vehicle, four-wheel-drive or transporter. We Come To You. Our service team can visit your home or business to support your servicing needs. We bring a full range of spare parts, and provide you with the added peace of mind of back-up stock on hand at our Wangara-based warehouse for all makes and models. 08 9302 2203 or fill in the Enquiry form.